Florida’s premier window treatment specialist! Click on the images below to see products. We are your local Hunter Douglas Dealer in Jupiter, FL. 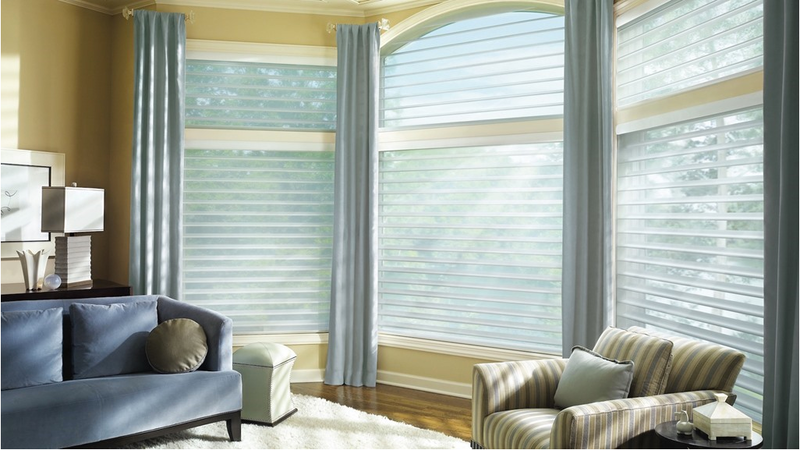 Shades & More offers a large selection of custom Hunter Douglas window treatments, including sheers and shadings, honeycomb shades, shutters, horizontal blinds, vertical blinds, Roman shades, roller shades, and woven wood shades. We service Northern Palm Beach County and the surrounding areas. Please contact us, and let us know how we can help you. We’re here to help you create the perfect atmosphere in your home. With custom window décor design featuring the finest products and legendary service from our family of skilled, in-house technicians. From design and installation to service after the sale, our customers’ satisfaction is our highest priority and we proudly guarantee everything we do. To complete your automated home, we offer top quality motorized shades customized to fit your style and functionality needs. Control the shades in every room of your home from your device to optimize lighting, temperature, and energy efficiency. "A beautiful upgrade to our home and excellent customer service! Highly recommend Shades and More!" "We had Shades & More do the shutters for both of our homes and they can't out beautiful.. The installer and sales rep were very helpful and professional. We would highly recommend them." "The company Shades and More was wonderful to work with!! I had all my windows shuttered and I am so happy with the outcome!! The installers were very professional and courteous during the installation. I would definitely recommend them to anyone." "I have used Shades and More several times over the years. Plantation Shutters in 2 of my homes and blinds in our office. I also referred them to my Mom for 2 of her homes and my daughter for 2 of her homes. Always a pleasure to work with. I can't say enough about how great they are." Want to add your own feedback? Click Here!